LEGO Marvel Super Heroes Hulkbuster: Ultron Edition! 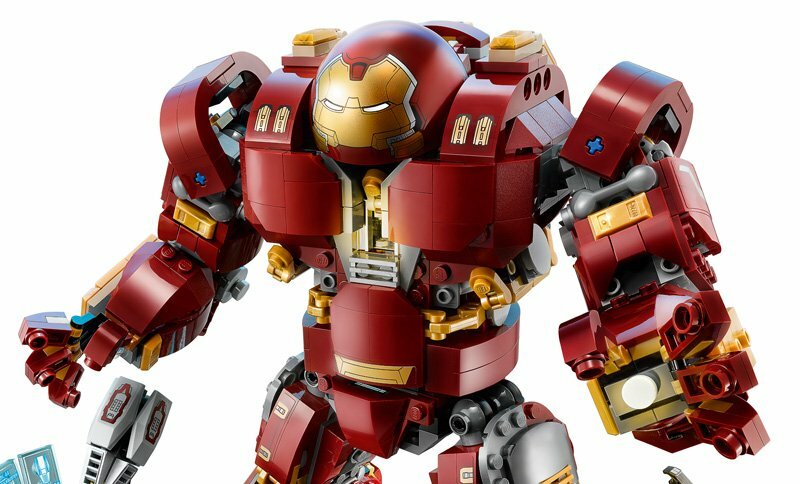 LEGO today revealed the LEGO Marvel Super Heroes Hulkbuster: Ultron Edition! The Hulkbuster features a punching jackhammer arm and LEGO light brick in the chest, and you can display it on the platform with attachable robotic construction arms. 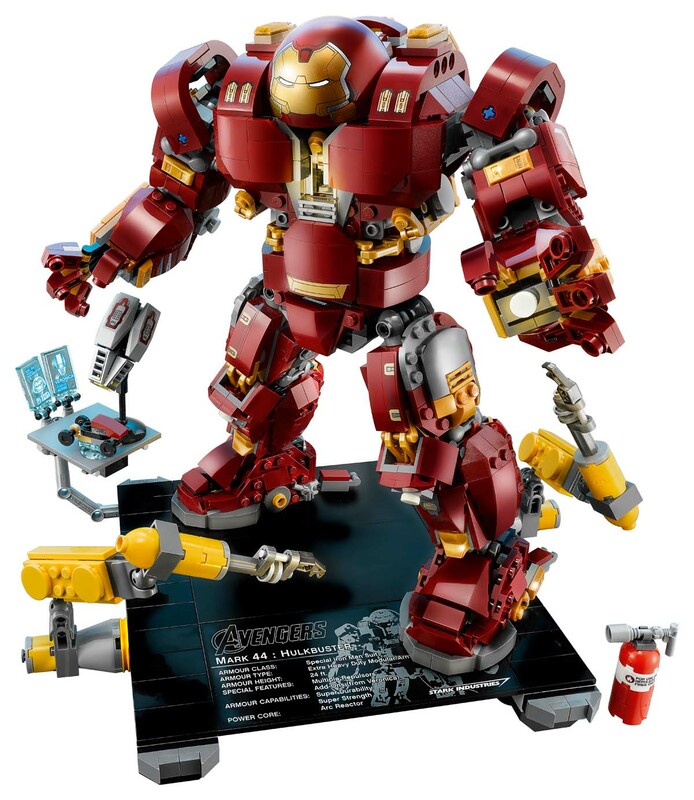 The highly-detailed LEGO brick version of the Hulkbuster mech features a rotating torso, posable fingers, arms, legs and feet, and glow-in-the-dark elements. Choose from two interchangeable left arms, including a jackhammer arm with punching function, and activate the LEGO light brick in the chest. This LEGO Marvel Super Heroes Hulkbuster: Ultron Edition set also includes a display platform with alternate attachment points for posable robotic construction arms and a desk, plus a new Iron Man Mark 43 exclusive minifigure. The Hulkbuster will be available for sale directly through LEGO beginning Saturday, March 3, 2018.